At six he’s lost and dangerously alone, vulnerable to the older children around him. At eleven he has what could loosely be described a home with his Mother but as she gives in to the alcohol her outbursts become violent and he bears the brunt of her fury. He runs. At twelve he is living in the woods among a group of broken youths just like him. He goes to see their oracle but even that isn’t simple. At fourteen he takes to the city, makes some friends and discovers a burnt out superstar. At fifteen he is taken in by a moment of kindness and lets his guard down, only to be used and abused. At eighteen he returns to the beginning. 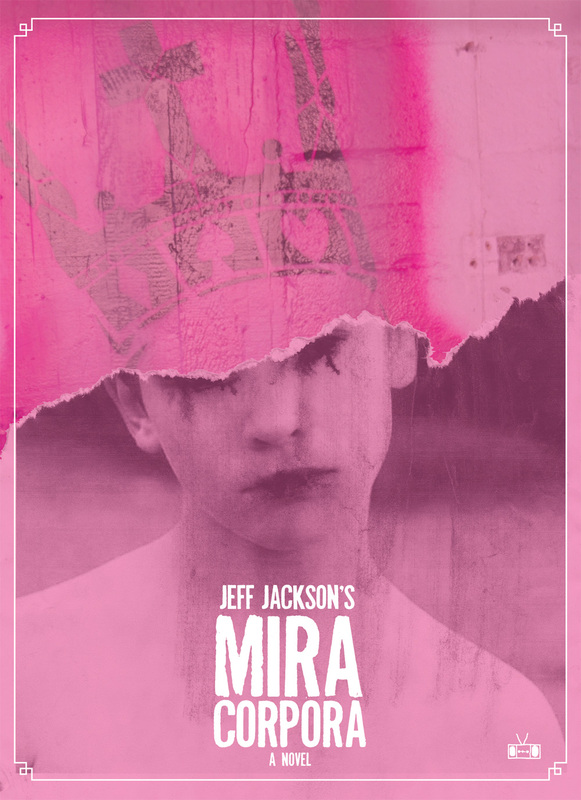 Mira Corpora by Jeff Jackson (both the name of the author and the lead character) is possibly one of the darkest books I have ever read. After turning the final page you completely understand the tagline of ‘a coming-of-age story for people who hate coming-of-age stories.’ There are no happy endings, no innocent heartache or big ethical questions that would usually ink the pages of your average coming-of-age tale. Jeff (the lead character) is dragging himself up through his teenage years, bouncing from one soul-destroying scenario to the next until he simply cannot take it anymore. Jeff Jackson’s writing is uncompromising and will occasionally leave the reader feeling quite uncomfortable, especially in his descriptions of burning bodies and hunter massacres but this all adds to the impact of the novel, compelling you to read more rather than put it down. Mira Corpora is compelling, disturbing and refreshingly unique. As with other pieces of work I have massively enjoy (Donnie Darko for example) I’m not sure I’ve even fully grasped this novel in one reading and can see myself re-reading it and seeing Jeff in a whole new light. If you embrace the unique and enjoy being pushed by the books you read then I genuinely cannot recommend Mira Corpora highly enough, I look forward to future work from Jeff Jackson.